Another little Hoot Owl Baby Shower Guest Book Album to share with you all. 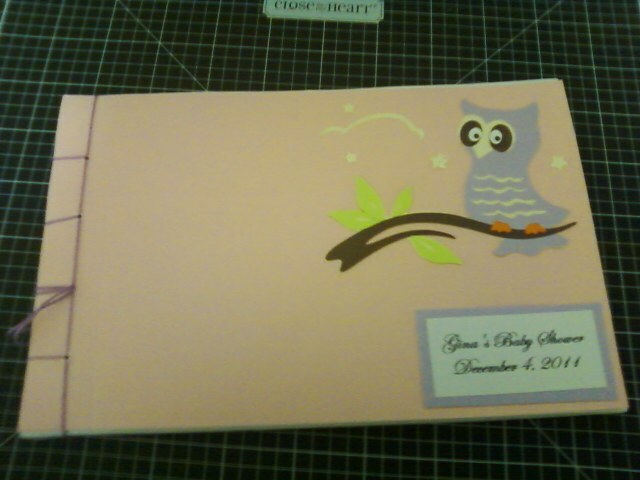 This lovely little owl is lavender with a pink cover. I love this combination. It's just so Girly!! The inside pages say "Hoot...Hoot..." I don't think I ever get tired of creating color combinations for this book design. What color option do you think I should try next?